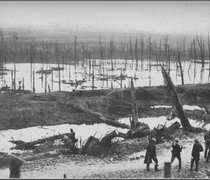 This website features comprehensive information about the history World War 1 including information about world war 1 battles, the people and countries that fought in the war, as well as the aftermath of the Great War. We also feature a huge archive of contemporary photographs and texts representing the history of The Great War. The First World War was unique in history. Although many previous wars had been fought on a grand scale and across far flung portions of the world (for example the Napoleonic wars), the First World War (optimistically called the War to End All Wars, at the beginning of the fighting) was different in many respects. It was the first modern war fought between industrialized countries and it made use of new and terrifying weapons which had never been used in warfare before, such as the airplane, the tank, and poison gas. It was also the first war in which the mobilization of the civilian population -- so called total war -- for the production of arms and ammunitions was essential to victory. No longer would wars be fought on distant battlefields by professional soldiers. From the perspective of today, the First World War was an act of collective insanity. It resulted from the gross miscalculation of the Generals and Politicians that planned it. Those who started the war thought that it would last a few months at most. The German Emperor told his troops as they left for the front in April 1914: "You will be home before the leaves have fallen from the tress." Instead the First World War lasted over four years and led to the deaths of millions. 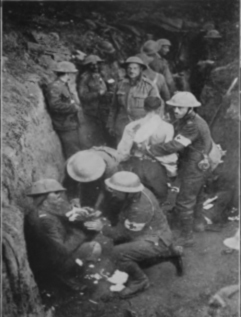 Millions of men fought and died in muddy trenches to gain a few hundred feet of ground. Entire nations and empires were destroyed. The Spanish Influenza epidemic swept the world, soon after the end of the War, adding to the misery created by four years of fighting. The economies of Europe lay in ruin. The war left the victorious nations exhausted and sapped of vigor. France suffered the most during the war. An entire generation of its young men died at Verdun and in the trenches. When the Second World War came, France had no more strength to fight and surrendered in a matter of days when attacked by Hitler's Third Reich. The Russian Empire, defeated in war, crumbled into revolution which led to the formation of the Soviet Union and the rise of Stalin. Germany, though defeated, nursed a resentment fueled by an unjust peace treaty and planned its revenge, which would eventually lead to WW2. It can be said that The First World War rocked the foundations of Europe and planted the seeds of the Holocaust, World War 2, and the Cold War that followed. We are still dealing with the aftermath of the First World War: the modern methods of mechanized, total war, were invented in the crucible of this war. And the political realignment, and the creation of unstable, failed states throughout Eastern Europe and the Middle East, have set in motion a series of events and historical currents that cannot yet be fully understood or fathomed. 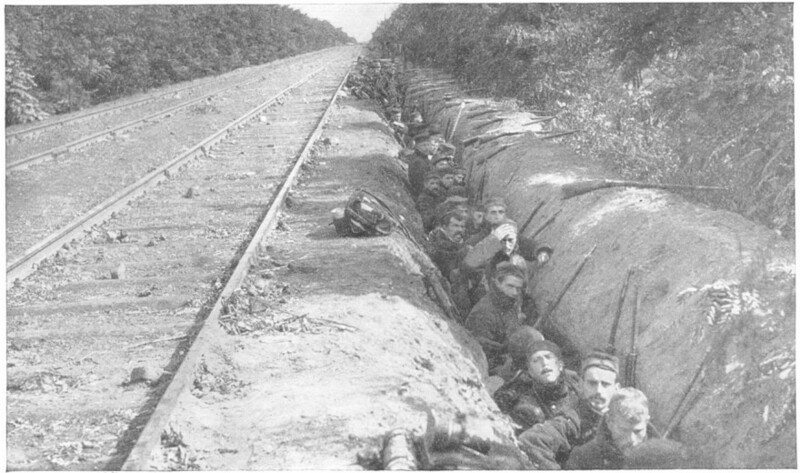 Pictured here are Belgian troops digging in by the side of a railway, preparing to defend against the German advance. Later in the war, trenches on the Western Front would become highly sophisticated and engineered to withstand massive artillery barrages. 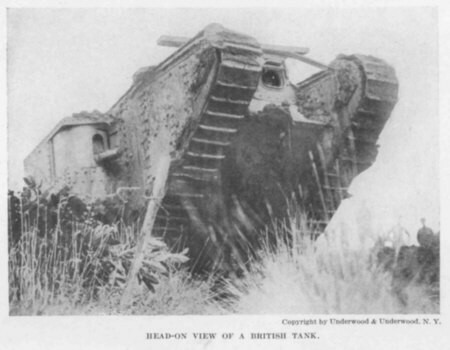 Tanks were first used on the Western Front. Though clumsy and slow by World War 2 standards, these early tanks promised to break the deadlock of murderous trench warfare by restoring mobility to the battlefield. They were very effective in breaking through German trench systems. However, not enough tanks were deployed before the war ended, to materially affect the outcome. Paradoxically the Allies, who had first developed tanks, would fail to understand their value as an offensive weapon and did not employ them effectively at the start of the Second World War. The Germans had been slow to field a tank force during the First World War but by the by the time WW2 started, their armies relied heavily on the tactics of blitzkrieg (lightning war) which favoured tanks to break through and encircle enemy armies. TRYING A BRITISH DAINTY! 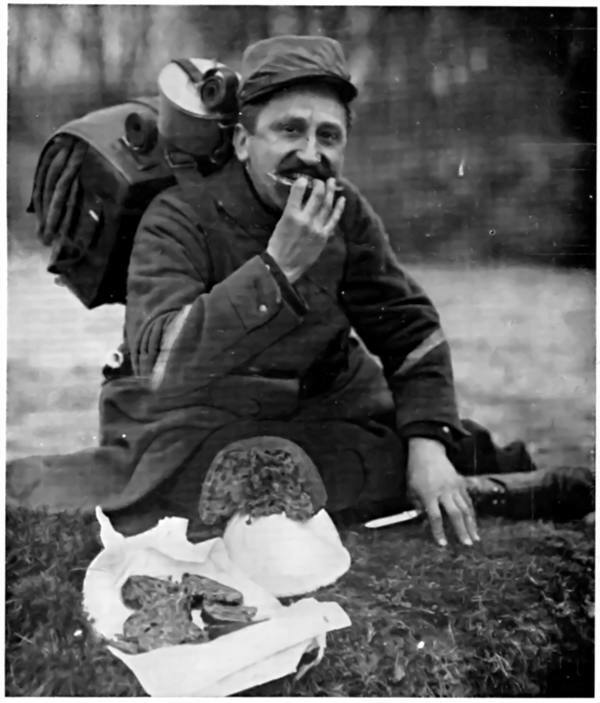 A FRENCH SOLDIER EATING CHRISTMAS PUDDING DURING WORLD WAR 1. 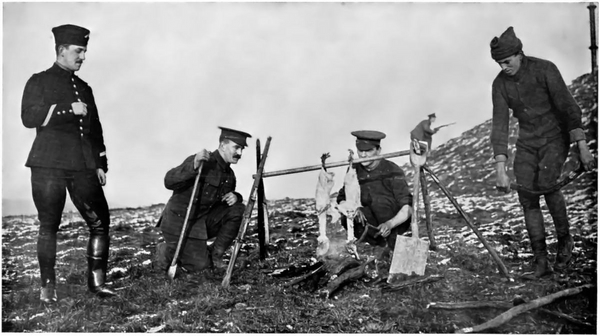 In 1914, British soldiers cook Christmas Geese sent to them from home using a spit held by rifles, a spade and a couple of sticks. 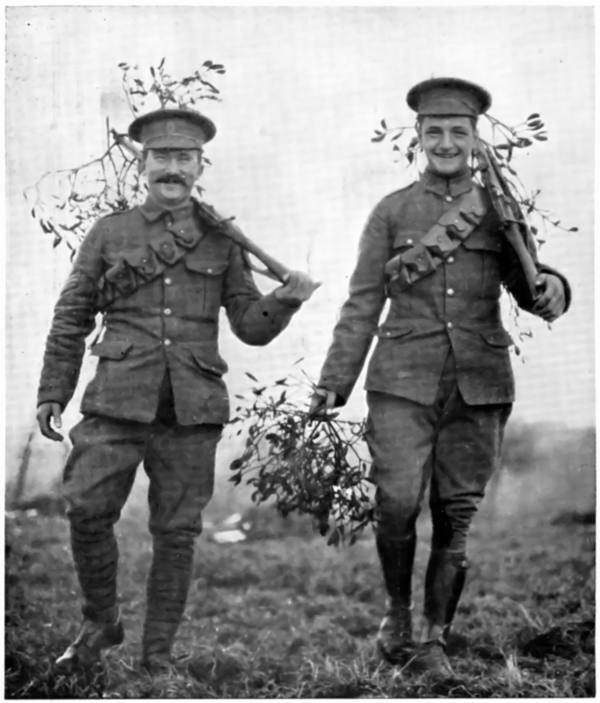 There was no Christmas truce at the front in 1914, but soldiers on both sides found ways to celebrate thanks to care packages from home, and in spite of the occasional artillery barrage. Note the third soldier in the background, supposedly guarding against an attack; this photograph is probably staged. COOKING THE CHRISTMAS GEESE AT THE FRONT. Rare footage of the First World War, showing the initial reaction to the declaration of war, as well as the subsequent conditions on the front at at home. The soundtrack plays original songs and recordings from the era.